Our Team - Distinctive Advisors Inc. The team at Distinctive Advisors is committed to excellence in client service — it’s what we do best. Get to know us and find out how we can best help you with your real estate needs. Victoria’s focus on residential real estate is an extension of her more than 25 years of transaction experience in commercial real estate, brokering deals on the most prominent properties across Canada as well as around the world. Her attention to detail has allowed her to successfully package and market real estate projects, consistently raising the bar in the industry, and her commitment to client service is unmatched by other brokers in the industry. Victoria holds a variety of designations including as a commercial and residential real estate broker, as well as a registered mortgage broker. Victoria is an inspiration to young women in real estate, with the first Victoria Joly Legacy Scholarship awarded by Toronto CREW, a North American commercial real estate industry association, in 2008, which recognizes one young woman in her final year of study in a real estate program. 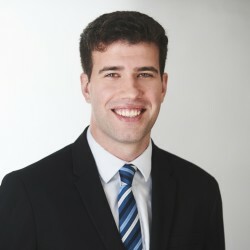 Brydon is a licensed realtor who, prior to getting his real estate license, worked with Distinctive Real Estate Advisors as a Transaction Support Analyst. Brydon is passionate about real estate and has exceptional knowledge and experience, coupled with unparalleled customer service abilities driven by his warm personality and desire to please. He is a pleasure to work with and believes that trust and strong relationships are the most important things in both life and real estate. He comes to us from the travel and tourism industry where he did promotional work for one of the largest travel companies in Canada. After a few years, Brydon’s interest in real estate was persistent and swayed him into a career change. Brydon was born and raised in Toronto’s Weston Village, where he prides himself on his knowledge and familiarity of West Toronto communities. Diana is a licensed real estate professional with an extensive background in marketing across industries. 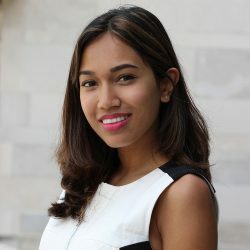 In the real estate industry her previous experience included working for Minto Communities, after working in the non-profit sector for United Way, which followed her start in high-tech working for a small technology company. Writing and design are her passions, and her diverse wealth of skills include video production, social media, graphic design and marketing strategy. 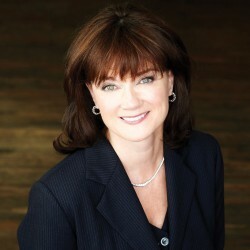 Diana’s education background includes a Bachelor of Commerce, Concentration in Marketing from the Sprott School of Business at Carleton University. Cassidy is a member of Distinctive Advisor’s Strategic Advisory Group working directly with clients on advising new development projects located in Toronto’s growing Entertainment District. With a great curiosity for all things relating to Toronto’s ever-evolving real estate market, Cassidy is looking to build on her previous experience in the real estate industry at MCAN Mortgage Corporation working with the firm’s Risk Management department, as well as her previous experience with corporate clients as an Analyst in Scotia Bank’s Global Wholesale Operations Strategy team. 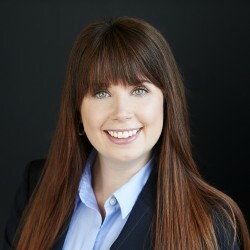 Cassidy’s unique skill set spans the fields of accounting, financial modelling, project management and implementation and research analysis. She holds an HBA from the Richard Ivey Business School and is currently pursuing her real estate license.